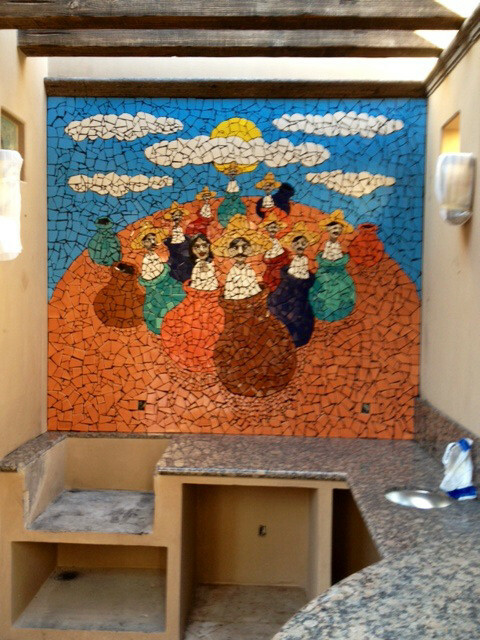 "Attached is a photo of the cracked tile mural I just completed here in Loreto. The piece is 8 ft x 6 ft and sits in the custom beach homes outdoor bar and barbecue area of the courtyard. I designed this mural based on the clients objective to have a lively, colorful, party like image. I hope you will recommend me to your clients that may express interest in having a unique tile mural in their home or business. I've now done four of these here and have another smaller project is scheduled to start in two weeks." If you want to contact Steve, you can e-mail him at steverand500@gmail.com or visit his website www.steverand.com.